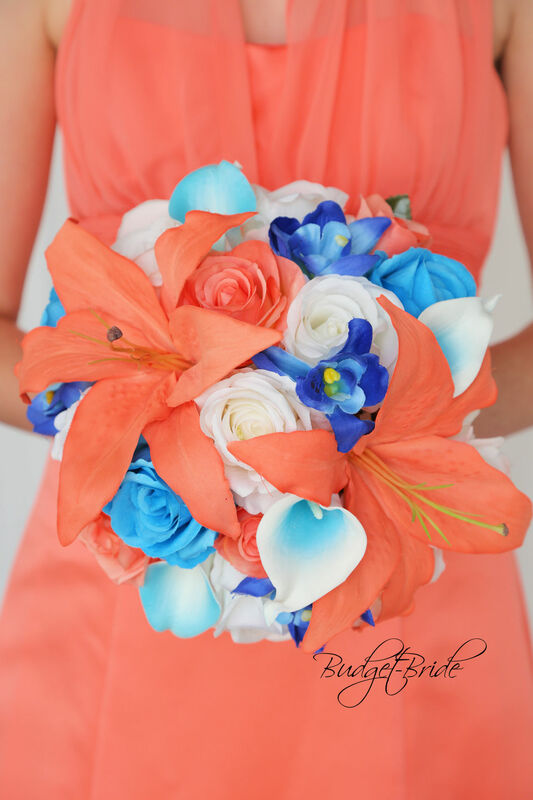 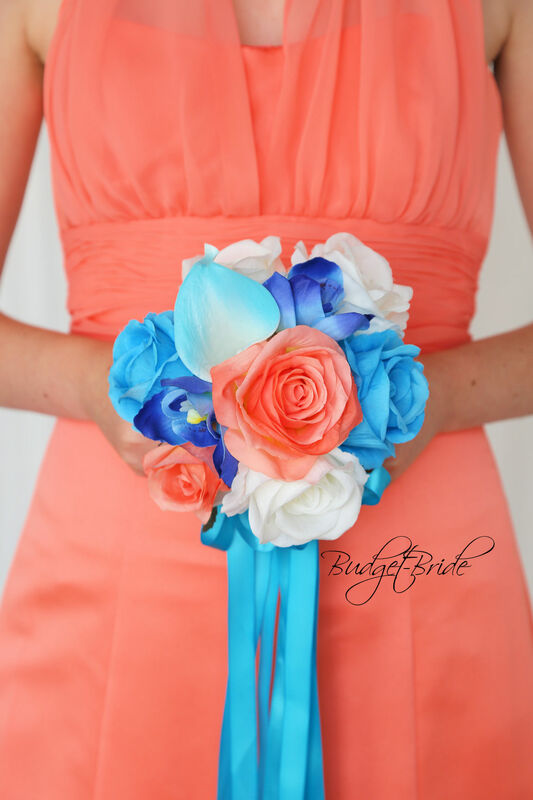 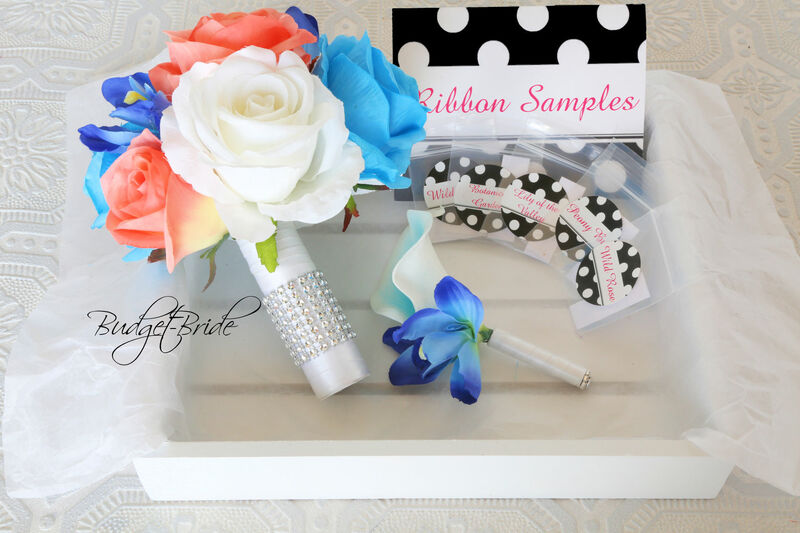 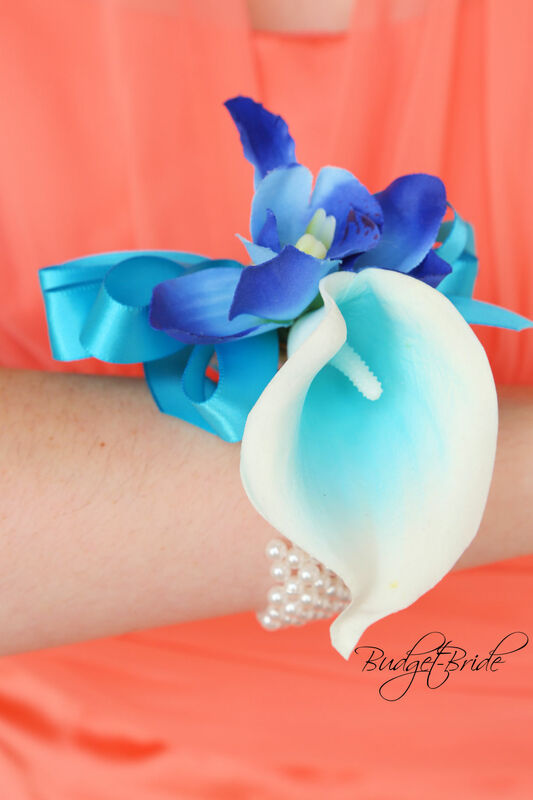 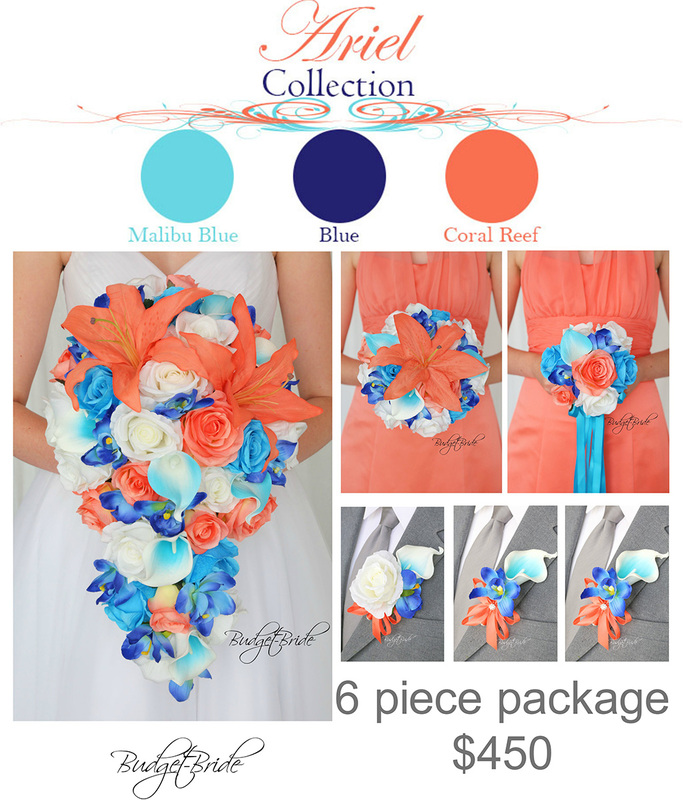 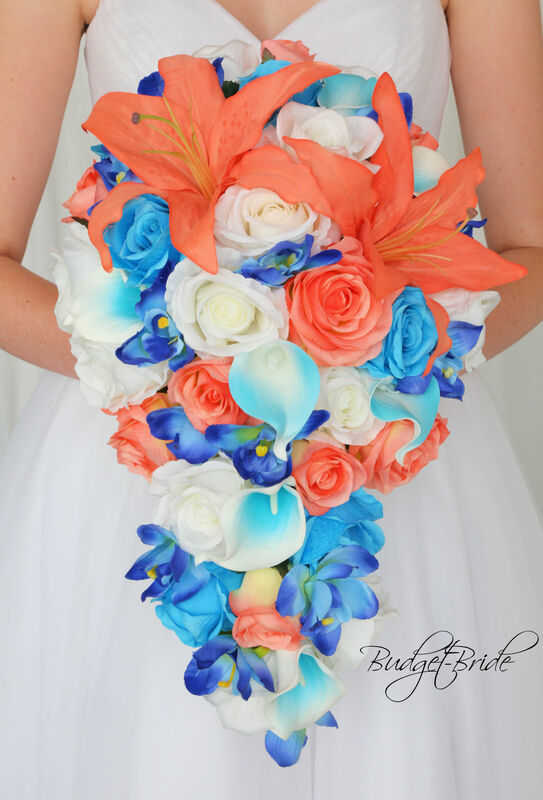 This matching bouquet is an 10 inch hand held bouquet with coral lilies, coral reef, Malibu and ivory roses, turquoise tipped calla lilies, turquoise halo calla lilies and accented with horizon tipped orchids. 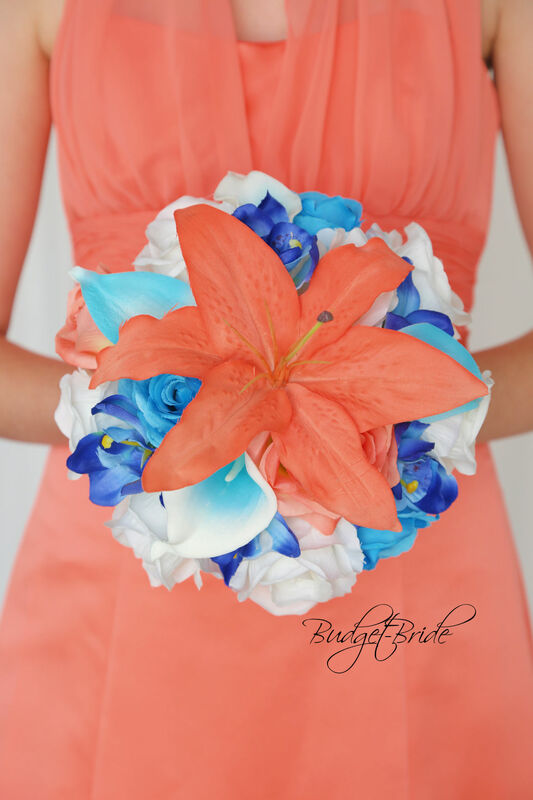 This matching bouquet is a 8 inch bouquet with coral lilies, coral reef, Malibu and ivory roses, turquoise tipped calla lilies, turquoise halo calla lilies and accented with horizon tipped orchids. 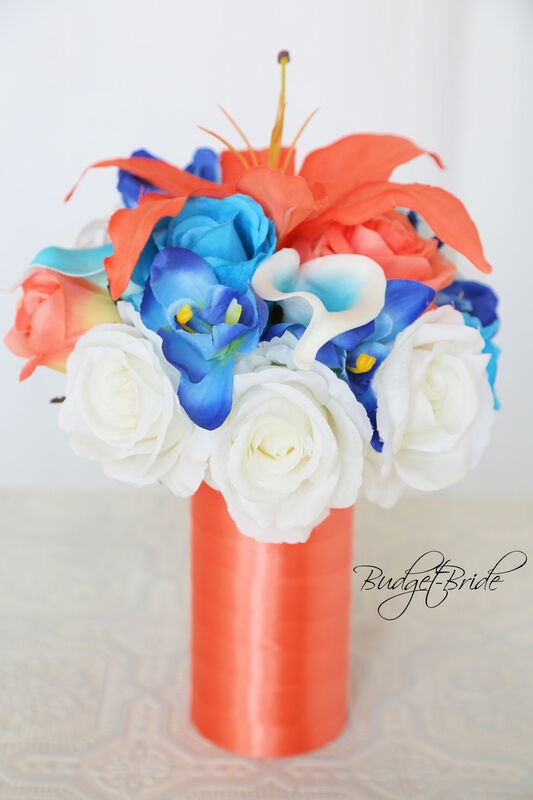 This matching bouquet is a 4 inch bouquet is made with coral reef, Malibu and ivory roses, turquoise tipped calla lilies, turquoise halo calla lilies and accented with horizon tipped orchids. 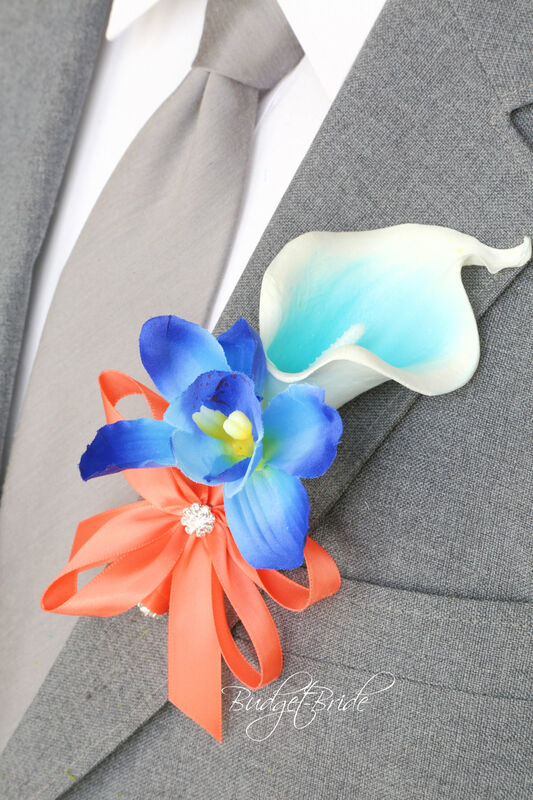 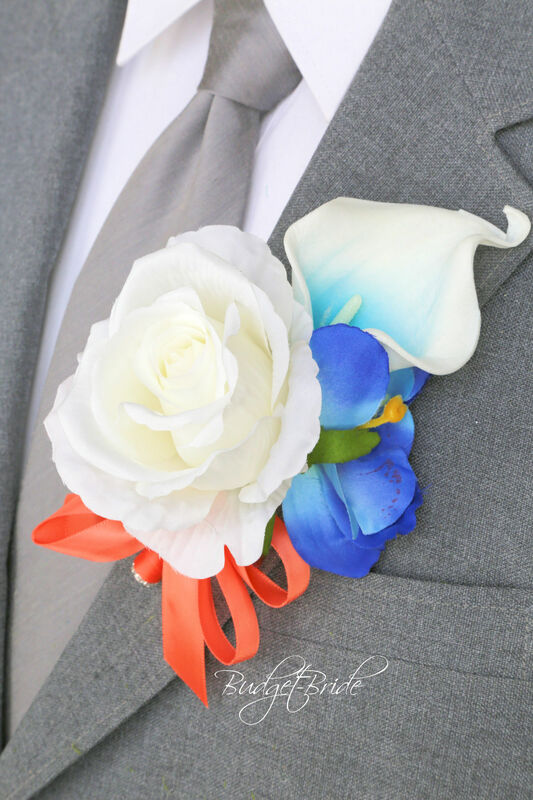 This matching boutonniere contains 1 Malibu halo calla lily and 1 horizon tipped orchid and stem wrapped in ribbon with a bow and a jewel.